I start work early so most of my workouts are at night. This works great for me - but sometimes I get tired after working all day. I try to hydrate and have a protein based snack in the late afternoon, but sometimes that wasn't enough. 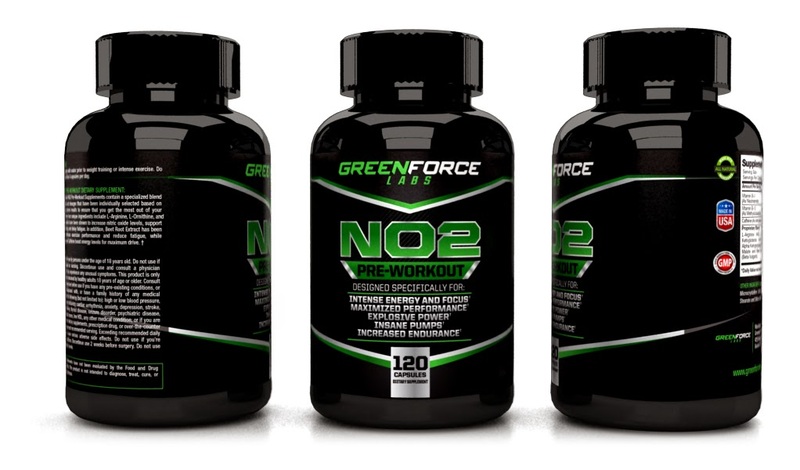 Enter GreenForce Labs NO2 Pre-workout supplements. They are loaded with vitamins and keep me going through my workout. Today I took them before a stair workout and I had no problem keeping up my pace and I felt really good the entire time. I was able to push myself harder than normal and noticed my recovery was a lot better. Verdict: I love NO2 Pre-Workout Supplements and will continue to take them before my workouts to maximize my performance and get the most of my training! Buy it: NO2 Pre-Workout Supplements are available on Amazon.com!